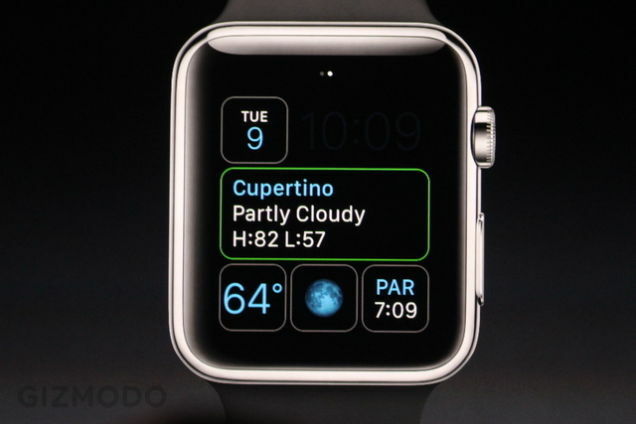 You are here: GeekSays Technology News » Apple » The Apple Watch is here! Yes, I know that I was a bit sceptical of the Apple Watch, but it’s finally here, and boy it looks great! To me, it honestly seems like one of the best attempts of a company to actually make a smart watch that looks good and works well at the same time, but let’s not forget the Moto 360 as that is a great smartwatch as well. 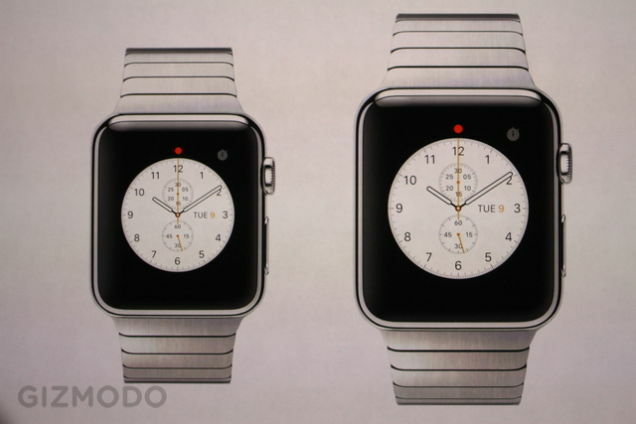 When it comes down to the actual design of the Apple Watch, I personally think that Apple did quite a great job. We already know that they’ve hired a lot of people who work in the fashion industry, so that could’ve been considered our first heads up towards the idea that something great and fashionable was coming. To describe it, I would say that it looks well… like a watch, although it’s much more than that. With a rectangular shape, a high number of replaceable straps, but also a smart crown and a beautiful screen, it is safe to say that the Apple Watch is one of the best looking smart watches out there. Together with this, Apple has went further than we had expected before and actually created 3 versions of the Apple Watch, each in two different sizes and a wide range of colours in order to make sure that the product is capable of suiting the taste of just about anyone. To be honest, I imagined the interface to look similar to the one found on the iPhone, iPad and iPod but it seems like Apple has decided to create an entirely new interface, specifically for the Apple Watch which seamlessly integrates its greatest features into one smart operating system. When it comes down to controlling it, the Apple Watch can be used by simply swiping the screen and clicking in order to open apps. However, there is something new known by the name of the digital crown which can be used to zoom in and scroll, thus making the use of the Apple Watch feel natural from all the points of view. With an incredibly high amount of customization options available from the start, just about anyone can find a style that suits their personality and allows them to use their Apple Watch efficiently from all the points of view. Other than this, the Apple Watch has many of the basic features which include notifications, the ability to look at different pictures along with the fact that it also has this Apple feeling to it along with many other great features that we’ll take a look at up-close in the upcoming days. I have to admit that I was extremely curious about whether there will be any support for 3rd party apps from the start. Well, it seems like Apple has found a great way to integrate them and have notifications displayed on your wrist in a smart way while also offering users the ability to control their applications without any trouble, which is simply great news for just about anyone who is considering to purchase the Apple Watch. Well, most smart watches available on the market today include certain sensors such as heart beat monitors, proximity sensors and much more in order to provide users with the ability to keep an eye on their health and use their smart watches while working out. Well, Apple seamlessly managed to integrate the health functions already available with the iPhone 6 with the Apple Watch, thus allowing users to take advantage of many monitors which include calories burned, steps taken and just so much more! It’s smart to remember that we still haven’t covered everything that the Apple Watch does, so stick around to find out more about the smart features incorporated in Apple’s wearable device together with more information about its specs, user interface and overall ease of use. P.S. Keep in mind the amazing news referring to the fact that the Apple Watch will be usable with the iPhone 5, iPhone 5C, iPhone 5S, iPhone 6 and iPhone 6 Plus, so chances are that you may be one of the many that can use it as well. 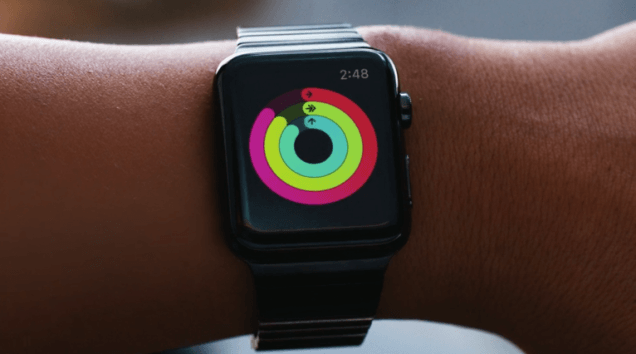 What do you think about the Apple Watch so far? Would you consider buying its price of $349?